Poor sound quality in your House of Worship? What’s the point of giving a sermon if your congregation can’t understand what you’re saying? If you want to learn how to improve the sound quality of your Church or House of Worship, we’re here to help. The foundation of church worship is built around verbal, emotional, and musical communication. Music and the spoken word are essential elements in many religious and spiritual services. An uplifting message in the songs that are sung and the words that are spoken have the ability to stir emotions and makes for an inspiring experience that can lift and energize. Yet, if every member of the congregation no matter where they sit cannot adequately hear the pastor, if the vocalist is not clear or distinct, or if the musicians are too loud, the message you are trying to deliver looses impact and inspiration. So why do so many Houses of Worship have have difficulty delivering ideal sound quality? In some worship spaces there are domed ceilings that have raw natural acoustic properties. In various smaller spaces the ceiling is made up of low suspended acoustic tile over an open space covered with small amounts of carpet. Different acoustic and architectural solutions must be considered to help visitors receive and understand the message as it was intended to be heard. 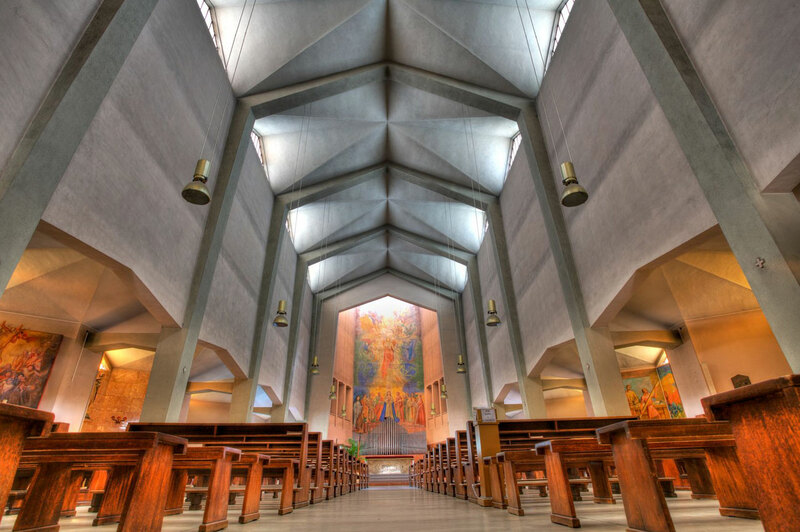 Room acoustics is the most important factor affecting speech and music in a church. To successfully combine architectural and acoustic design for your church, get some advice from a good acoustic and sound system consultant like the professionals at Taylor Productions. How large the church is? What kind of music a church performs? How loud the music is played? Sound systems can be problem solvers. Well-designed systems can help overcome acoustic problems and enhance the worship experience. Where a conference room would be optimized for articulation and clarity, a symphony hall is optimized for resonance and acoustics. A place of worship, however, is optimized for articulation, clarity, resonance, and acoustics. 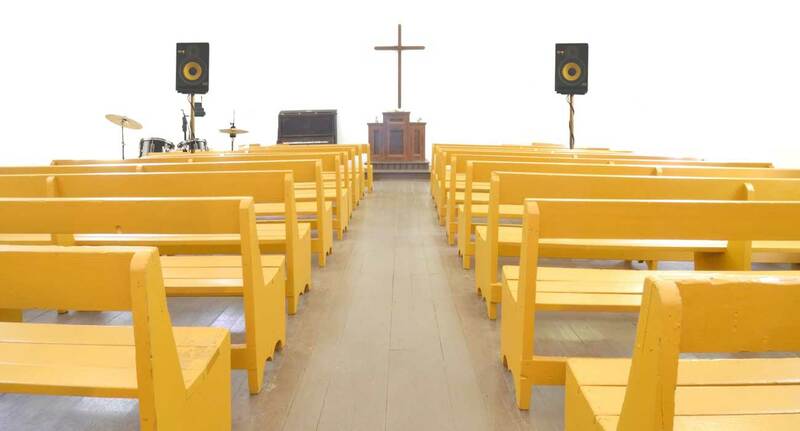 This is because a worship space requires a balance between the requirements of a music performance and the spoken word. These acoustical factors if not addressed, make it difficult for a congregation to hear regardless of how loud the speaker tries to talk. Acoustical factors aside, if you have a poor audio system you won’t hear the people say “That’s the best worship service we’ve ever had!”. 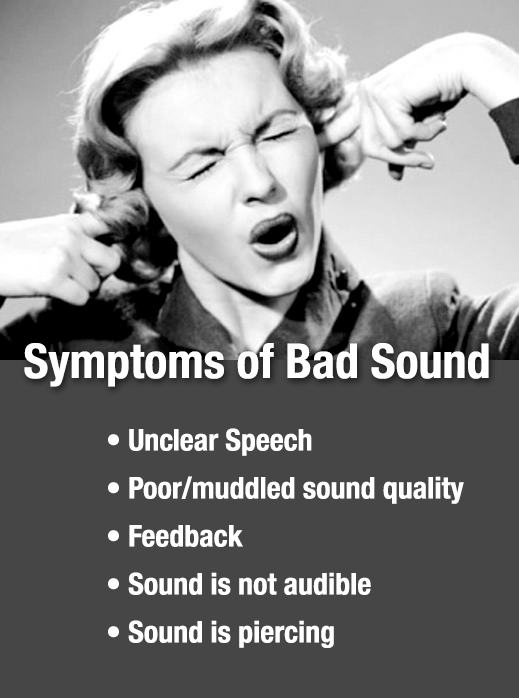 The consequences of a poor audio system are annoying, frustration, distracting, and could adversely affect the performance and reception of service. You know what I’m talking about – you have clicks, pops, crackles, hiss, harsh, distortion, feedback, flutter, echo, excessive reverberation, sound delay, shadows, uneven frequency response, poor speaker coverage, too soft, too loud, too much…. and background noise. Did I miss anything?